When I am feeling a little under the weather nothing picks me up like my Cold Buster Juice. 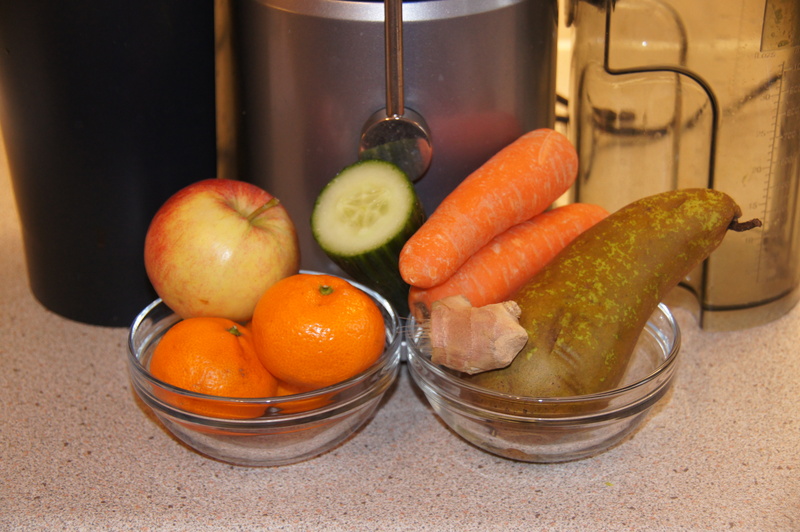 Packed full of vitamins and minerals to aid the recovery of the common cold and flu. 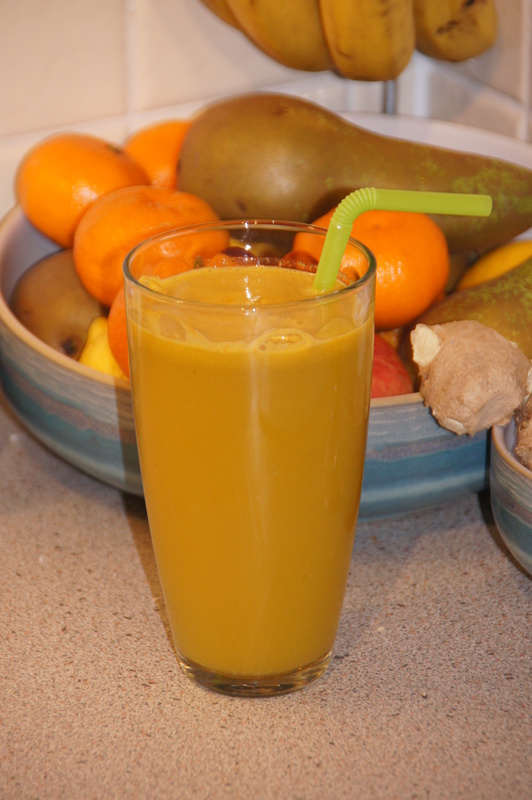 A similar base to the Breakfast Juice but with the addition of lemon and clementine, which are loaded with vitamin C and antibiotic properties which are fantastic for treating colds, flu and coughs, extra ginger high in zinc known to relieve coughs and colds and extra carrot for added energy when you need it most. You will be feeling better in no time. Place all ingredients in to the juice, placing the clementines and lemon between the other ingredients and voila. This entry was posted in Juices and tagged antibiotic, apple, carrot, clementine, drink, energy, ginger, gluten-free, glutenfree, health, juice, lemon, minerals, orange, pear, shedding the wheat, vegetarian, vitamins, zinc. Bookmark the permalink.